The Bank of Italy has barred the Dutch lender from accepting new clients in the country until it tightens money-laundering controls. 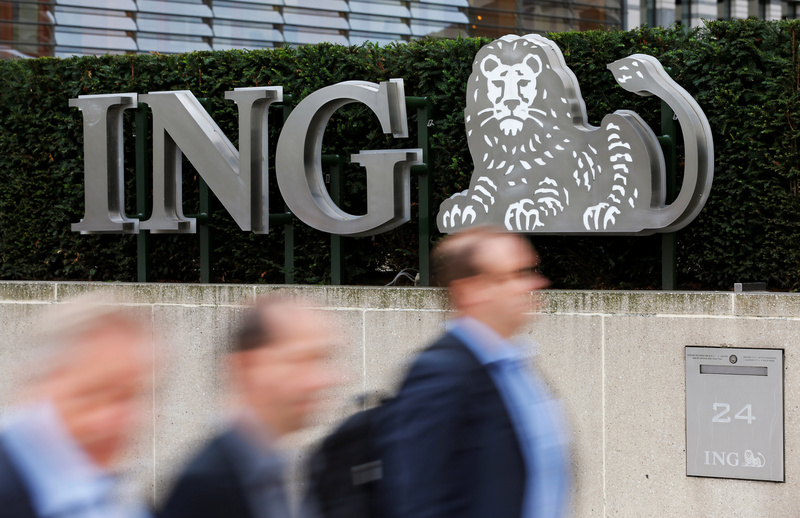 The sanction lacks the punch of ING’s recent $900 mln Dutch fine. But bans may be more effective when forcing Europe’s banks into action. Pedestrians walk past the logo of ING bank by the group's main office in Brussels, Belgium, October 3, 2016. ING Groep is not allowed to take on new customers in Italy until it improves its anti-money laundering procedures in the country, the Bank of Italy said on March 16. The decision does not affect existing ING clients. The decision follows inspections by the Bank of Italy between October 2018 and January 2019 that found shortcomings in the Dutch lender’s procedures to prevent money laundering through its accounts. ING paid a record 775 million euro settlement with Dutch prosecutors in September because of anti-money laundering failings. ING’s Italian division reported a pre-tax loss of 101 million euros on total income of 231 million euros for 2018 – the only major country where ING reported a loss. ING had assets of 17 billion euros in Italy at the end of 2018. ING shares were down 2 percent at 10.85 euros by 0915 GMT on March 18.